I am glad to say that after finishing the homeopathic clearing for Cipro, in addition to my other daily remedies, I feel very well and almost back to normality. So I would like to thank your team for the amazing work you are doing and for preserving this precious and useful knowledge that homeopathy is. Hi, I an almost certain that my daughter (she is an adult) has been severely floxed. I have noticed in my research that you make or subscribe a medication called Homeocipro. I would like to know more about this if possible. Thank you in advance for your information. Thank you for your inquiry. Yes, many thousands of people have been “floxed” or harmed by any of the multitude of pharmaceutical preparations. The downside is, these drugs do a lot of damage to the body that can take some time to reverse. Each case is different and we’d be happy to speak with you about it. I would suggest you call the office and speak to one of our staff about the case. We appreciate your inquiry and remember, we work over the phone so location is not an issue. I am looking to obtain Homeocipro. Please call or email the office and we can set up a phone consultation. I also like to know more about Homeo Cipro. I’m from the Netherlands. Homeo Cipro is a safe, non-toxic homeopathic remedy made from the drug Ciprofloxacin (Cipro, Proquin), a second-generation fluoroquinolone pharmaceutical drug. Homeo Cipro can be used as an “antidote” to Cipro poisoning (i.e. to the side effects of the drug). Cipro poisoning can effect all the major organs in the body. For those who have had problems with Cipro poisoning for more than a few weeks, that damage may require more substantial homeopathic treatment to undo. For those who are suffering from the side effects Cipro or other drugs (i.e. poisons! ), homeopathic antidotes as well as long-term (e.g. chronic or constitutional) homeopathic treatment using The Mueller Method of homeopathy can be very effective in restoring your health. If you would like to work with us, you can fill out our online forms to get started here: http://homeopathicassociates.com/old/consultations/get-started-with-homeopathic-treatment/. Remember, we work over the phone so you would not need to travel. You may also call our office and speak to Mr. Mueller or one of our clinical assistants directly at 001-619-741-5795 before making your decision. Hello can i have more information? I took cipro for 4.5 days and i have joint aches and pin and tingling sensations of the limbs. It has become more and more common to find people who have had their lives turned upside down from drug side effects these days. 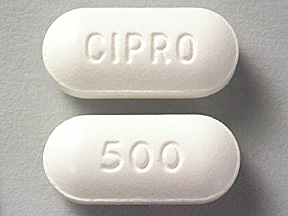 Cipro is just one of the many insidious poisons people are being fed by the medical professionals. yes, we can help him and work over the phone so he doesn’t have to travel. Homeopathic treatment has the capacity to restore health and help overcome the damage done by the offending substance. You can either go ahead and sign up for treatment by clicking here and filling out forms: http://homeopathicassociates.com/old/consultations/get-started-with-homeopathic-treatment/ or you can call our office at 619-741-5795. You may ask to speak to Mr. Mueller directly for 15 minutes for free to get a little more info on your son’s specific treatment or to let your son speak to him directly. We wish you the best. Nobody should have to suffer from drug side effects! Courtney, Poor thing! You sound miserable. When helping people recover from Cipro reactions, homeopathic Cipro is usually just one of the remedies necessary to regain health. Each case is different and it does depend on the length of time since you had the reaction. Mr. Mueller would be happy to speak to you and answer any questions you have about your particular situation. Remember, homeopathic treatment is highly individualized, just like your particular reaction to Cipro, while it has similar symptoms as others, will also be somewhat unique. We work over the phone and only provide remedy preparation services to our clients. Our office can be reached at 619-741-5795. Best of luck in regaining your health. I am sorry to hear of your suffering from this drug that really should be taken off the market. Hello, i read years ago about the homeopathic cipro, and I searched it for years. Then I found a pharmacy, that produced it themself. It helped me very much. I had this burning electricity pain over years, about 20 times per hour lasting over a minute. After Ciprofloxacin C30 it came once a week to once a day. it helped me really much. The cure I did after it, with Coenzyme comp, Ubichinione comp and Zitronensäurezyklus Heel, helped for the rest pain, for my veines, my heart problems and with the connective tissue. I have this burning electricity pain about once in 2-3 monts, but now its just punctual and only for 1 or 2 seconds. before it was along the nerve. and with this cure, my energy came back. When you suffered for 10 years with loss of energy, bad tissue, heart problems and pain, you really cannot believe, it is finally gone. I heared about this Coenzyme-cure in a video on youtube from Dr. Enzmann about healing mitochondria. It is in German. Thanks to him, I am ok again after being disabeled for 10 years. Thank you Maja for sharing your story and inspiring others that non-toxic help is available for them. Remember folks, we do work over the phone and are currently accepting new clients. You can speak with Mr. Mueller for 15 minutes for free http://homeopathicassociates.com/old/free-15-minute-chat/ to see if homeopathy is right for you. Christina – can you treat for damage from several fluoroquinolone drugs? Thanks. Absolutely. In fact, homeopathic treatment can help with drug side effects from any drug, not just Cipro and Levoquin. We’ve worked with people who had drug reactions to Macrodantin (Macrobid, Nitrofurantoin, Furadantin), Tylenol (Acetaminophen, Paracetamol, Panadol, Mapap), Allopurinol (Zyloprim, Aloprim), Colchicine (Colcrys, Mitigare, Probenecid, Proben-C), Albuterol (Salbutamol, Ventolin, Proventil, Accuneb, ProAir, etc), Vioxx (and other COX-2 inhibitors) and many, many more. Please feel free to call the office and speak with Mr. Mueller about your case http://homeopathicassociates.com/old/free-15-minute-chat/. Hi Christina, I have been given so many rounds of floxins and other antibiotics that there are too many to count. I have developed a heart issue called atrial fibulation and chronic hypertension due to the afib. This all happened 4 years ago and 6 months after I had 3 surgeries within 15 months. I am quite sure this is the reason I am so sick. Can the remedies help repair my heart tissue after all this? I also have a constant vibration sensation in my body even though my heart rate is normal . I want to get off of the 2 meds I am on to control the hypertension because now those are causing issues. I also have a 17 year old with adhd and she got exposed to iv antibiotics in the womb during her delivery. Can the remedies perhaps helps her also? Thank you for taking time to comment. While you have a slightly complicated case, I do think that homeopathic treatment with The Mueller Method can be beneficial to you. The subjective symptoms you mentioned (like the sensation of vibration) are exactly the kinds of symptoms that a homeopath needs to choose medicines to help you. We have also seen heart valves heal, blockages open and AFIBs cease through homeopathic treatment. Your daughter is in luck, too. Homeopathic treatment can greatly improve ADHD and its concommitant conditions. I think you would do well to speak with Mr. Mueller directly about your and your daughter’s cases. You can fill out this form http://homeopathicassociates.com/old/free-15-minute-chat/ and our office staff will contact you ASAP. Or you can call directly and ask to speak with him, 619-741-5795. Good luck with you health conditions. We are happy to help. It is tragic what your friend is going through. I’ve seen other cases with similar groups of symptoms in clinic and I always wonder how the doctors can continue to ignore drug side effects and keep prescribing drugs like antidepressants – after all, if the docs can’t critically analyze or take responsibility for their decisions, the problem must then be in the patient’s head, right?? The only thing I know to help your friend is comprehensive homeopathic treatment. If she is willing, please have her call the office and speak directly with Mr. Mueller. The sooner, the better, especially before they give her anymore drugs and she suffers from any further iatrogenic (doctor induced) disorders. Our phone number is 619-741-5795. We work over the phone and are currently taking new clients. We’re open Mon-Fri, from 9am to 4pm ET (sometimes a little later). My best wishes go to your friend. And bless you and your husband for your love and concern for her. I would like to know if it is possible to add Aruba to the list of countries when filling in the intake form. I was seriously floxed over a period of 6 years. I only found out about the dangers when I was subscribed another course of cipro for a returning bacterial prostate infection. After that all hell broke loose: cartilage loss and joint pain all over, heart arythmia, dry painful eyes and list goes on and on. I am looking into adding Aruba to the list. I’m not sure why it’s not there! Bu let’s not let that hold you up. Here is a link to our downloadable paperwork http://homeopathicassociates.com/old/consultations/get-started-with-homeopathic-treatment# You can also call and speak with our office at (oo1) 619-741-5795. I have veen poisoned by Aldara, a topical creme used only 3 times. I am a 29 year old female and let me just tell you, this creme is ruining my life. I used it only three times in November and immediately got a bad cold, followed by a yeast infection. Doctor said it’s an immune booster, but as I read on after application I found many who suffered from the drug. I started to get really bad tinnitus in my left year that sounds like a crazy cicada noise. Then I just started to get bad burning pains all over my body about a month ago – this happened only 3 months after using this drug. My body is always twitching in places I never thought would twitch before and I have been dizzy for the past 3 weeks along with diminished eye sight. I don’t know how to make these symptoms go away but I feel so depressed and I really would like to know if homeopathy can cure this type of reaction. It seems as if I get a new symptom each month. I sympathize with your suffering. So many people are being victimized by the terrible side effects of conventional drugs these days, it’s scary. I did a quick google search for side effects from Aldara and found this website https://www.drugs.com/sfx/aldara-side-effects.html . Interestingly, many of the symptoms you mentioned are in the lists. Homeopathy has been working very well for hundreds of people we’ve worked with for various other drug reactions, I don’t see why we couldn’t help with Aladara poisoning, too. We’ve worked with people who have side effects from Tylenol (paracetamol, acetaminophen), Vioxx, birth control pills, prednisone, other steroids, asthma medications and more. Pharmaceutical drugs, especially in the doses they are using, are very dangerous. They all have harmful effects disguised as “side effects”. Side effects is a “nice” way for saying “action of the drug”. But then nearly every drug monograph says “the mechanism of action is not known.” Meaning they don’t understand HOW the drug poisons you and shuts down certain functions of the body, they just know it does. Yet they viciously attack homeopathy as being pseudo-science because they don’t understand it’s mechanism of action… It’s a scam, really. Please feel free to call the office and have your free 15- minute consultation 619-741-5795. We all wish you the best of health. Thanks so much for your response. I’ve read that this drug induces auto immune disease and causes eye problems and most problems are permanent. My eye dizziness is what scares me the most. I am not able to concentrate much at work from the dizziness/eye issues. People have developed Fibromyalgia, Sjoromes syndrome, Lupus, among others. It’s frightening really to be living in fear everyday that something bad will happen to me. Can homeopathy help with eye problems that come from toxicity of medicine or am I doomed to live with this? Do you have to have special genes for homeopathy to work and does it only work on certain people? Are some people incurable because of the level of toxicity that has been induced? I think it could possibly help with the eye symptoms, as eye symptoms definitely come within the realm of homeopathic treatment. We work with the whole person. We use homeopathic remedies for directly addressing the symptoms and we use mercury/heavy metal detoxing to help also. Diet and other things are helpful as adjuncts. Let us know if we can be of help! I took Cipro for only 7 days. At the end of those 7 days, I started experiencing back pain (lumbar and neck), weakness in my legs, numbness in my feet, loss of appetite, insomnia, severe headaches, tinnitus, numbness in my fingers, etc. Doctors say NO WAY that Cipro could cause those symptoms, but I say differently. They diagnosed me with Gullien Barre Syndrome. I have had several treatments. Doctors told me Id be back to normal in about 6 months. That was about 2 months ago. Unfortunately, these kind of reactions are much more common than the doctors will admit to. Homeopathic treatment is the only thing I know of that can help you heal (the fastest) from these symptoms. 11 years ago my health and life was destroyed by 2 quinolone pills. Yes, only 2 pills! Because of them i am still in wheelchair and have dozens of health problems. During these years I have avoided drugs to “treat” this problem, I think I have only used 3 medications throughout the years. Do you think that this treatment could still help me? I think with some hard work (homeopathically 🙂 ), mercury chelation and perseverance, you can recover with an intense protocol of treatment. By this, I don’t mean just an occasional dose of a remedy as would be prescribed by a Classical homeopath. Your condition needs “extra-strength” homeopathy! The potencies we use of quinolone drugs (and most of the other “poisons” we use as medicines) are EXTREMELY diluted. In fact, a 12C potency of a homeopathic remedy is diluted beyond Avogadro’s number – the dilution point at which no molecules of the original substance are left in a solution. Of course there is new research that shows that even nano-particles of a substance ARE indeed left in there! In our practice, while taking a homeopathic case, we carefully examine the sensitivities and past drug reactions of each individual. We custom tailor the dose of all remedies to match the person’s sensitivity. It is not unusual for one of our “quinolone” cases to have to dilute this remedy further. However, it is not the only remedy that you would need to help you. Unfortunately, these drugs do WAY more damage to the organism in most people than can be undone by simply “antidoting” the drug. But it’s a start! I hope this helps you and others who have suffered the side effects of conventional medication. Speaking of drug side effects, I am just beginning to work with a 36 yr old woman who has avascular necrosis of her bones as a side effect from 2 years of steroids her doctor had her on 15 years ago after a major accident and back surgery. Even the Mayo Clinic admits it is a side effect. So have I understood it correctly that in my case we could go backwards in time starting from today and antidote all the things that seemed to make me worse during that period and the last antidote would be the original poison that started it all, the quinolone? I can think of maybe 3-4 four things that caused dramatic worsening during the years. Oh and just before the quinolone I took a tetanus-diphteria vaccination, I wonder if it could play some role here? I’m sorry for the delay in response John, for some reason, my website is not alerting me to comments! One of the components to treatment is working backwards in time to antidote the drugs and other harmful influences you have been exposed to. Another component is the actual homeopathic treatment with remedies that match your symptoms. Yet another part is a gentle oral mercury/heavy metal removal protocol. Yes, I definitely think the vaccine played a role here. Quinolones are kill all the bacteria and viral colonies that your body uses to harbor mercury, thereby causing the mercury to go a-cellular and wreck havoc on the body. Oh and I forgot to ask: how do you test the mercury toxicity? I removed my 5 amalgam fillings 2 years after the quinolone poisoning, a special dentist did that job. One symptom disappeared right after they were removed. I’m so glad you had your amalgams removed. This will help tremendously. We have found most of the mercury testing to be inaccurate (hair, blood and urine) unless there it is done with a mercury “challenge” test – that is using a chelating substance for a period time which causing the body to “release” mercury into the channels of elimination (like urine, bowels). Then they test those excretions for mercury. However, judging by the past exposures, your current symptoms and many years of clinical experience, plus your reactions to our oral chelation protocols, it will become more apparent that you still have mercury. From Mr. Mueller’s research, we know that mercury is one of THE MOST difficult metals for the body to excrete on it’s own. Yes, there are foods we eat that naturally help excrete it, but we’ve found people still have mercury even 20-30 years after amalgam removal or from their last shots. It goes through the placenta, through breast milk, it’s in fish and seafood, in the air and ground water, our livestock are being vaccinated to shreds so the meats we eat are contaminated…It’s a constant struggle but well worth your health. Fight the good fight! Yes, I do think homeopathic treatment and antidoting the Levofloxacin will help you at this point. If you would like Mr. Mueller’s help, please fill out the online new client information forms so we can begin treatment. Here is a link to our rates. I was on Cipro beginning New Years Eve. I took it for five days and brought myself off of it. Within the last two weeks, I am suffering from joint pain—fingers, wrists, elbows, shoulders, knees, ankles, toes. I have had burning nerve pain in feet and arms and hands going into my back between my shoulders. I have been experiencing sleep disturbances in the last three nights as well. I have taken Cipro multiple times and was never warned or aware of these terrible side effects and now I’m scared to death. As a mother to four children, a wife, a sister, a daughter, I cannot live my life like this. I am working with a chiropractor and have been to an Ayurveda for a detox. Currently taking magnesium and baswellia and praying for anything that works. My Achilles’ tendon has recently begun to hurt as well. I’m scared to move for fear of rupturing a tendon. Is there anything to help me? So many people are suffering like you are – and worse! It is criminal that this drug and other fluoroquinolones are still on the market and being used – WITHOUT WARNING! YES, there is help and hope. We’ve been seeing good results from homeopathic treatment for these drug reactions. You have an advantage, too – you are still early in the reaction which increases your chances of recovery. Either of our homeopaths would be happy to help you. You can click here to talk to someone for free for 15 minutes to see if homeopathy is right for you. Otherwise, if you are ready to start treatment, you can click here. We wish you the best of health and a speedy recovery. Stay strong! Hi doctor, Any subtitute of ciplox-tz 500 in homeopath. Please reply. That is a great question. We homeopaths have a large database of remedies that have been studied and proven (meaning we do a trial on healthy people to determine what symptoms each remedy is capable of treating). In homeopathic treatment, we carefully record the symptoms you are having, and find remedies suitable to that condition and particular symptoms. In your case, you are asking for a homeopathic remedy to substitute for Ciplox-tz, also known as Ciprofloxacin, a fluoroquinolone drug. Similar drugs include Norfloxacin (Noroxin), Ofloxacin (Floxin), Levofloxacin (Levaquin), Besifloxacin (Besivance), Moxifloxacin (Avelox)… These antibiotics are use to treat infections caused by bacteria. It is used to treat severe bacterial infections including pneumonia, respiratory or urinary tract infections, gonorrhea, anthrax, gastroenteritis as well as infections of the sinus, bones, skin and joints. Additionally it’s used to treat septicemic plague. “Commonly prescribed for a wide array of illnesses, these drugs work like chemotherapy agents, disrupting DNA and destroying cells. They are fluorinated quinolones, meaning they administer the potent neurotoxin fluoride directly to your body’s tissues. I find it ironic that as someone who goes to great pains to avoid consuming fluoride because of my hypothyroidism, I unwittingly consumed huge doses of this chemical when I took the antibiotics. Fluoroquinolones are known to cause mitochondrial damage and oxidative stress, which can lead to a host of illnesses, including chronic fatigue syndrome, Alzheimer’s and obesity. But the adverse reactions don’t stop there. A horde of symptoms have been reported by those suffering from Fluoroquinolone Toxicity, from somewhat minor disturbances to complete debilitation. They can be found in oral medications, ear drops, eye drops and even veterinary medications. Coming back to homeopathy: homeopathic remedies can effectively treat infections – bacterial, viral, fungal, etc. Homeopathic remedies cause the body to heal by using small doses of toxic drugs – small enough doses to stimulate the healing response without the side effects that are found in large, material doses of that same drug. The science studying this effect is called “hormesis”. You might find this research paper called “Nanoparticle Exposure and Hormetic Dose–Responses: An Update” interesting. Remember, although with a little study, you can effectively treat self-limiting, non-serious conditions at home, homeopathic treatment will take individualized prescribing by a trained practitioner for more serious conditions. I was poisoned by Cipro about 7-8 months ago and heard that you have something called homeocipro that will reverse these effects? I have pain in my legs, forearms, and back. Mostly muscular and nerve pain. I’m sorry to hear…I don’t know why they haven’t taken that drug off the market yet! If it’s been LONGER than 2 months since the Cipro was taken, it’s like that the Ciprofloxacin has done multiple organ damage, in which case, in addition to antidoting with HomeoCipro, we’d use other constitutional remedies to undo the heal your system. It can still be reversed, it would just take longer. We have clients who’ve been floxed almost every day in our practice – 90% of them are improving and getting their lives back. hi I have a question if I do homepathy after 6 months of been floxed is okay ? or is to soon to start ? I need to wait at least one year before doing homeopathy or I can start right now ? Thank you for your comment. This is a good question. You can start homeopathic treatment IMMEDIATELY after being floxed – you do not have to wait. The ONLY thing you would wait on it taking homeopathic Cipro. However, after 6 months, there will likely be several other remedies that will help address your symptoms. Myself or my husband is available for phone consultations. Good luck and best of health. I have been floxed by cipro and have been seeing a homeopath who has been trying to deal with my issues but I’m not improving.I have gastro issue, muscle pain, neurological pain, depression, pressure in my body, inner ear pressure, fatigue, brain for and the list goes on.i started on cipro homeopathy today 30c for three days and have come across your sight.I wanted to make sure i have the right treatment so not sure whether to continue or stop until I can speak with you? Hi Becky, I’m sorry to hear you have been floxed. Yet another “casualty” of our medical system. In general, it takes a comprehensive and complex approach to treating Cipro reactions successfully. I have found 90% of all our cases need multiple remedies daily, in addition to antidoting Ciprofloxacin with Cipro 30C. We usually start with it in water/alcohol mixture and use it 3 doses day/for 3 days. Now for the individualization…it’s going to depend on your reaction to that and other homeopathic remedies as to what comes next. It also depends on how long ago since you were floxed. it also depends on other factors which would be gone over and assessed by your homeopath. If your homeopath is just focused on your constitution and not your “disease” symptoms, that may explain why you aren’t feeling better yet. Being floxed is a tough thing to treat homeopathically simply because you have to do 2 things: treat for the new acute symptoms. But also, because there is a huge Cipro-mercury connection (and that is more than I can go into on a comment), being floxed tends to bring out latent chronic symptoms… in addition to the Cipro disease!! See!? It’s not simple. But it’s doable. I wish you the best in your recovery. We (Manfred and I) are both experienced with Cipro reactions and are both available for a Free 15 minute chat this week. Please either follow this link or call the office to schedule if you have more questions for us. We have helped many cases like yours. Even after 8, 10 or 12 years, people are recovering from Cipro, Levoquin and other drug poisonings and side effects. We would be happy to work with you through our telephone clinic. You can even expect to see results in your uterus myoma (uterine fibroids) through homeopathic treatment and possibly avoid surgery. It sounds like in your case, any surgery could be a risky surgery for your health. I would definitely consider beginning treatment before any surgery or other major event as homeopathic treatment both improves your health and increases your resistance to outside influences. You can reach our clinic either by phone: 619-741-5795 or by email.